Sarah is a qualified Independent Nurse Prescriber and a Doctor of Chiropractic medicine.  She specialises in safe non surgical treatments. She has safely performed hundreds of cosmetic proceedures,with fantastic results. Botox is the trade name by which Botulinum Toxin A is widely known. It works by paralysing the small muscles for a period lasting a few months. If the muscles can not move, wrinkles are prevented, as they are a direct results of contracting forehead, eye and mouth muscles. Wrinkles on the forehead most commonly appear in two ways, vertical and horizontal. Botox takes effect within a 3-4 days, but can take as long as 2-3 weeks for the full effects to show through. Botox anti-wrinkle injections are not permanent. Further injections may be required every 3-6 monthly intervals to maintain the effects. Thousands of these treatments are performed every year, with fantastic results.